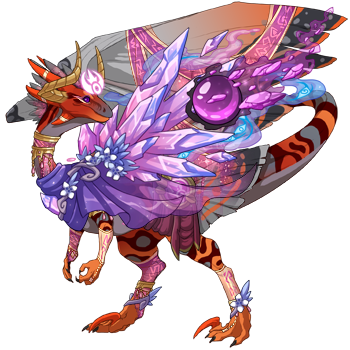 This is Candor, the lair's record keeper and the closest they have to a scholar. The Truth is her Charge, and she would be most likely to take up a quest to discover and protect it at all costs. [url=http://flightrising.com/main.php?dragon=34180177] [img]http://flightrising.com/rendern/350/341802/34180177_350.png[/img] [/url] Candor's closest friend, and the one she would take with her on this quest, is Dauntless, a battler of the fiercest heart. She would not hesitate to agree to the quest, to protect Candor on the road. 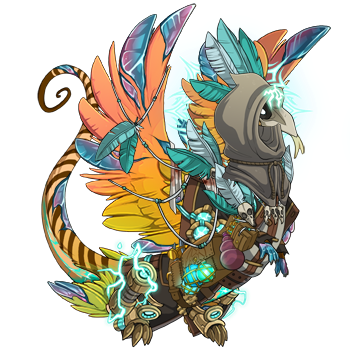 [url=http://flightrising.com/main.php?dragon=4237163] [img]http://flightrising.com/rendern/350/42372/4237163_350.png[/img] [/url] The two of them would approach the clan leader before leaving, and likely Khelios and his mate, Alyria, would both insist Alyria go along with them. Alyria is a similarly fierce healer, unafraid of anything in her way. 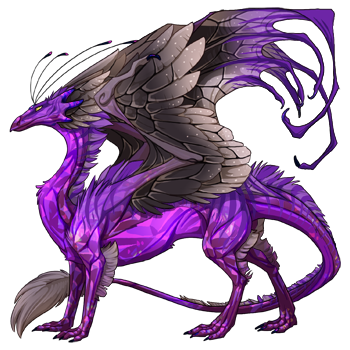 [url=http://flightrising.com/main.php?dragon=1615569] [img]http://flightrising.com/rendern/350/16156/1615569_350.png[/img] [/url] With both of these willing warriors at her side, Candor would set out to recover the hatchlings and figure out the truth of what has happened with the tricky nocturne, Thana. Candor once tracked her best friends across Sornieth, to the hidden lair where they currently reside. She is tireless, relentless, and she would not rest until she had found Thana. Dauntless and Alyria would ensure that the hatchlings were found and brought back to Shadowsong where they belong, or die trying. 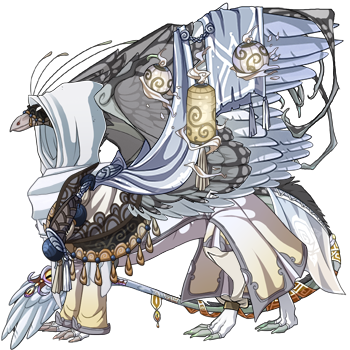 This is Candor, the lair's record keeper and the closest they have to a scholar. The Truth is her Charge, and she would be most likely to take up a quest to discover and protect it at all costs. Candor's closest friend, and the one she would take with her on this quest, is Dauntless, a battler of the fiercest heart. She would not hesitate to agree to the quest, to protect Candor on the road. The two of them would approach the clan leader before leaving, and likely Khelios and his mate, Alyria, would both insist Alyria go along with them. Alyria is a similarly fierce healer, unafraid of anything in her way. With both of these willing warriors at her side, Candor would set out to recover the hatchlings and figure out the truth of what has happened with the tricky nocturne, Thana. Candor once tracked her best friends across Sornieth, to the hidden lair where they currently reside. She is tireless, relentless, and she would not rest until she had found Thana. Dauntless and Alyria would ensure that the hatchlings were found and brought back to Shadowsong where they belong, or die trying. 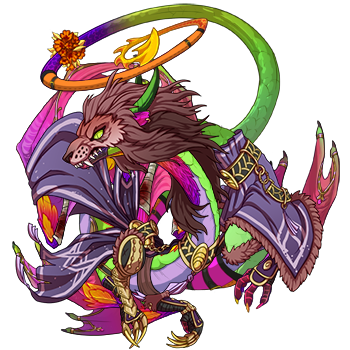 [url=http://flightrising.com/main.php?dragon=527007] [img]http://flightrising.com/rendern/350/5271/527007_350.png[/img] [/url] Ah, yes, who else but Crimlea, the Tenbrook Clan scholar to find out about this heinous plot? 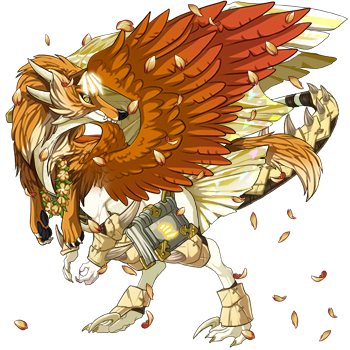 [url=http://flightrising.com/main.php?dragon=592621] [img]http://flightrising.com/rendern/350/5927/592621_350.png[/img] [/url] And of course, Redhunt, her mate, who is always on watch for any dangers that might sneak up on her and do her harm when she's deep in her studies. 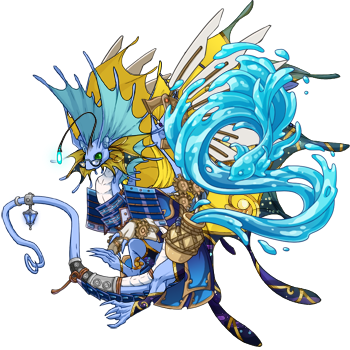 [url=http://flightrising.com/main.php?dragon=10422313] [img]http://flightrising.com/rendern/350/104224/10422313_350.png[/img] [/url] And finally, amusingly, Nightsinger, the Nocturne who knows the ways of Shadows and has managed to keep his own thoughts in amongst the clatter and diversity of the Tenbrook clan. He is a skilled herbalist and mage, and given this was his kin, he readily agreed to help. They haven't returned yet, so it's difficult to say if they were successful or not. Crimlea has always been curious about the world around her, even as a hatchling, and this often landed her in trouble. She is an excellent spellcaster, but usually doesn't notice trouble right away until its on them. Redhunt has always been by Crimlea's side, helping her with her studies and defending her when needed. Nightsinger, named long before this mini thing was put up, always wished to explore his roots, and any threat to Sornieth by the Imposters needed a Nocturne's touch. He acts as unintentional healer and magic user. Ah, yes, who else but Crimlea, the Tenbrook Clan scholar to find out about this heinous plot? And of course, Redhunt, her mate, who is always on watch for any dangers that might sneak up on her and do her harm when she's deep in her studies. And finally, amusingly, Nightsinger, the Nocturne who knows the ways of Shadows and has managed to keep his own thoughts in amongst the clatter and diversity of the Tenbrook clan. He is a skilled herbalist and mage, and given this was his kin, he readily agreed to help. They haven't returned yet, so it's difficult to say if they were successful or not. Crimlea has always been curious about the world around her, even as a hatchling, and this often landed her in trouble. She is an excellent spellcaster, but usually doesn't notice trouble right away until its on them. Redhunt has always been by Crimlea's side, helping her with her studies and defending her when needed. Nightsinger, named long before this mini thing was put up, always wished to explore his roots, and any threat to Sornieth by the Imposters needed a Nocturne's touch. He acts as unintentional healer and magic user. [url=http://flightrising.com/main.php?dragon=32616933] [img]http://flightrising.com/rendern/350/326170/32616933_350.png[/img] [/url] This is Aneurin. She's the Shadowsong in this story. She lost her sibling Aisling a long time ago, and would do anything to get her back. It's only recently when she realized that Aisling had fallen in with her worst enemy. [url=http://flightrising.com/main.php?dragon=38083554] [img]http://flightrising.com/rendern/350/380836/38083554_350.png[/img] [/url] [url=http://flightrising.com/main.php?dragon=38105383] [img]http://flightrising.com/rendern/350/381054/38105383_350.png[/img] [/url] These are Ajenra (top) and Farsong (bottom). These are the hatchlings in the story. 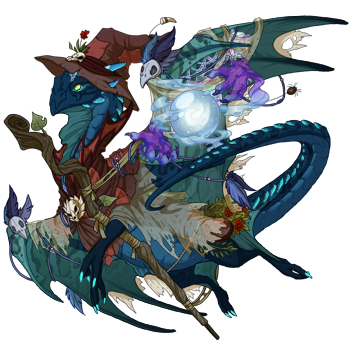 Aneurin loves Ajenra and Farsong, but Aisling stole them from behind her back and attacked her, transforming the two young Nocturnes into a Skydancer and a Bogsneak. Aneurin was forced to start searching for them. 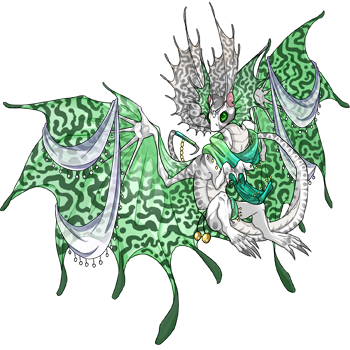 [url=http://flightrising.com/main.php?dragon=36969486] [img]http://flightrising.com/rendern/350/369695/36969486_350.png[/img] [/url] This is Aisling. She's the Thana in this story. She might seem traitorous, but she allied with Aneurin's worst enemies so she could save her love, Kelvar - just like Aneurin did to her love, Lasgalen, many years before. 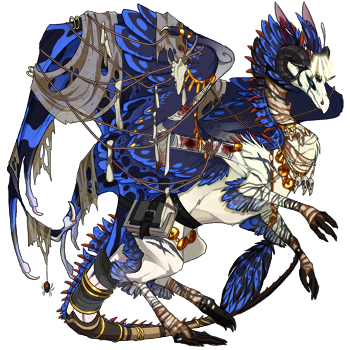 [url=http://flightrising.com/main.php?dragon=37884182] [img]http://flightrising.com/rendern/350/378842/37884182_350.png[/img] [/url] This is Dreamwalker. She's the scholar in this story. She studies alone, but has a nurturing heart and would be willing to do anything "for the element of dreams" - Arcane? Fire? Shadow? Something completely different? - and for the superiority of dragons. So naturally, she'd want to help Aneurin stop Aisling. [url=http://flightrising.com/main.php?dragon=37868478] [img]http://flightrising.com/rendern/350/378685/37868478_350.png[/img] [/url] This is one of Dreamwalker's allies, named Maiesta. Maiesta is haughty, independent, and young, but she has a streetwise manner that helps Dreamwalker act on the spot and know how to think on her feet. She is a valuable asset in Dreamwalker's quest. 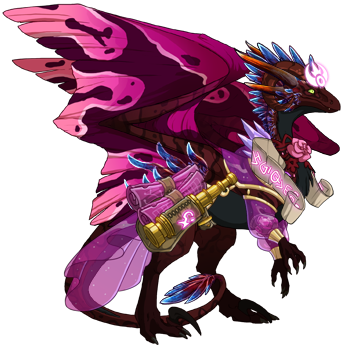 [url=http://flightrising.com/main.php?dragon=37756282] [img]http://flightrising.com/rendern/350/377563/37756282_350.png[/img] [/url] This is Agoradi, Dreamwalker's other ally. Agoradi is quiet and shy, but has vast amounts of knowledge in his brain, and he is the ultimate mage. 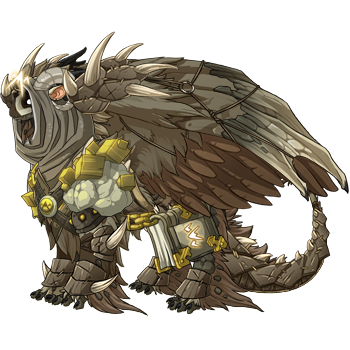 Nobody knows what his ideals and morales are - he's never said more than ten words in a day - but according to his actions he seems to be a good dragon to have around for Dreamwalker's quest. This is Aneurin. She's the Shadowsong in this story. She lost her sibling Aisling a long time ago, and would do anything to get her back. It's only recently when she realized that Aisling had fallen in with her worst enemy. These are Ajenra (top) and Farsong (bottom). These are the hatchlings in the story. 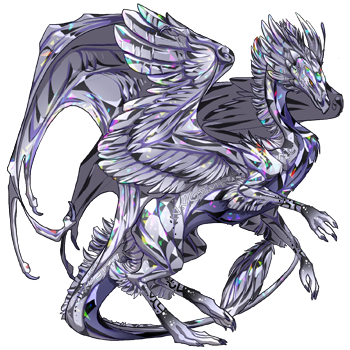 Aneurin loves Ajenra and Farsong, but Aisling stole them from behind her back and attacked her, transforming the two young Nocturnes into a Skydancer and a Bogsneak. Aneurin was forced to start searching for them. This is Aisling. She's the Thana in this story. She might seem traitorous, but she allied with Aneurin's worst enemies so she could save her love, Kelvar - just like Aneurin did to her love, Lasgalen, many years before. This is Dreamwalker. She's the scholar in this story. She studies alone, but has a nurturing heart and would be willing to do anything "for the element of dreams" - Arcane? Fire? Shadow? Something completely different? - and for the superiority of dragons. So naturally, she'd want to help Aneurin stop Aisling. This is one of Dreamwalker's allies, named Maiesta. Maiesta is haughty, independent, and young, but she has a streetwise manner that helps Dreamwalker act on the spot and know how to think on her feet. She is a valuable asset in Dreamwalker's quest. This is Agoradi, Dreamwalker's other ally. Agoradi is quiet and shy, but has vast amounts of knowledge in his brain, and he is the ultimate mage. Nobody knows what his ideals and morales are - he's never said more than ten words in a day - but according to his actions he seems to be a good dragon to have around for Dreamwalker's quest. The Scholar, Moondancer. [url=http://flightrising.com/main.php?dragon=29344089] [img]http://flightrising.com/rendern/350/293441/29344089_350.png[/img] [/url] Joining her are: Deathbringer, a former assassin and currently the Head of the Hatchery's Guardian. He originally didn't want to join Moondancer on her quest, but his mate (and Head of the Hatchery), Glory, convinced him. [url=http://flightrising.com/main.php?dragon=28257254] [img]http://flightrising.com/rendern/350/282573/28257254_350.png[/img] [/url] Nick, one of the Clan's Archers and a Spirit Seer. He and his Guiding Spirit, Shadowflight, eagerly accepted Moondancer's request they join her. [url=http://flightrising.com/main.php?dragon=32079579] [img]http://flightrising.com/rendern/350/320796/32079579_350.png[/img] [/url] It didn't take long to track down Thana with Nick and Shadowflight's help. After catching up to her, Deathbringer and Nick distracted Thana, while Moondancer grabbed Voidsong and Nightsong. Once Moondancer had the hatchlings safely away from Thana, Nick and Deathbringer knocked her out and they returned Voidsong and Nightsong to Shadowsong. Deathbringer, a former assassin and currently the Head of the Hatchery's Guardian. He originally didn't want to join Moondancer on her quest, but his mate (and Head of the Hatchery), Glory, convinced him. Nick, one of the Clan's Archers and a Spirit Seer. He and his Guiding Spirit, Shadowflight, eagerly accepted Moondancer's request they join her. It didn't take long to track down Thana with Nick and Shadowflight's help. After catching up to her, Deathbringer and Nick distracted Thana, while Moondancer grabbed Voidsong and Nightsong. Once Moondancer had the hatchlings safely away from Thana, Nick and Deathbringer knocked her out and they returned Voidsong and Nightsong to Shadowsong. Nuada took the quest that was given. He is the head mage for his Collection, but he knew it would not be wise to take his Mage Brother with him on this quest. Prophet was the next to join the quest. Nuada had known Prophet for a long time, though Prophet had hidden away for many years now in his own studies. He had become jaded with a lot of his fellow dragons and found it frustrating that they choose a life of ignorance. Even so, Nuada convinced him to come along to find more about the answers he and been looking for. Lastly was Sekhmet. Nuada was hesitent for her to join. He had known her when he first started using magic and knew she had a tendency to push boundaries of magic that shouldn't be pushed. He also knew she was powerful, and that having a Nocturn on their side would be helpful, but he would keep a close eye on her. lore soon? for now here's malachai, the clan's recordkeeper/scribe and sort of a scholar? elethor is his assistant and is a scholar from the hewn city. Sunflight, the only dragon in the clan especially interested in magical research, is the one who finds out about the clan's problem. He brings Vedia with him. She is training to become the champion of the clan, and always wishes to test her abilities. Fighting mimics is definitely up her alley. Kamaria rather reluctantly agreed to lead them to Thana. Though she's very busy during this time of year, she's an excellent tracker, and she knows the ways of the Nocturnes better than anyone else they could ask. "Where there are songs, young one, there is also dance." [url=http://flightrising.com/main.php?dragon=14104684] [img]http://flightrising.com/rendern/350/141047/14104684_350.png[/img] [/url] [b]The Dancer[/b], wizened in her years, couldn't help but let out a chuckle. "They may have made our memories fade, but the truth lives on in other forms. To think we were right that our ancient dances had equally mysterious origins." 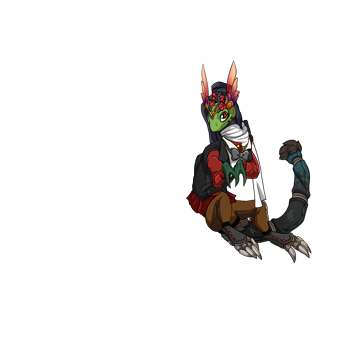 [url=http://flightrising.com/main.php?dragon=20997760] [img]http://flightrising.com/rendern/350/209978/20997760_350.png[/img] [/url] [b]The Scholar[/b] fidgeted. Sure this was an amazing discovery, but she couldn't think of that now. Shadowsong's words echoed in her mind. "The hatchlings!" she blurted out. "And - and the mimics and imposters and Thana... how do we stop them? D-do you know any warriors? Knights? Really scary looking dragons?" Slowly, the dancer nodded her head. On cue, a toweringly large Imperial jumped from the horizon, seemingly making her way to them in a single bound. Watching the gargantuan dragon bow her head in respect to her master was nothing sort of awe inspiring for the scholar. [url=http://flightrising.com/main.php?dragon=22145976] [img]http://flightrising.com/rendern/350/221460/22145976_350.png[/img] [/url] "Young Garomilla, was it?" the dancer asked. "Meet my [b]Apprentice[/b], Melody." "Master Jupiter," the apprentice acknowledged. "I think you'll find that after thousands of years, one's ancestors would eventually think to imbue dances with magic, yes?" Jupiter said with a playful smile. "Those imposters think they can outwit with words and illusions, but they will always betray their true nature when it comes to copying another's grace. I know my apprentice well. Should a single step be misplaced, I will know." "And you, master. No imposter could dream compare to your dances." Melody lifted her head and stretched out her wings. "Come. Time is short if we wish to recover the hatchlings. May our ancestors smile upon our journey for their lost songs." "Where there are songs, young one, there is also dance." The Dancer, wizened in her years, couldn't help but let out a chuckle. "They may have made our memories fade, but the truth lives on in other forms. To think we were right that our ancient dances had equally mysterious origins." The Scholar fidgeted. Sure this was an amazing discovery, but she couldn't think of that now. Shadowsong's words echoed in her mind. "The hatchlings!" she blurted out. "And - and the mimics and imposters and Thana... how do we stop them? D-do you know any warriors? Knights? Really scary looking dragons?" Slowly, the dancer nodded her head. On cue, a toweringly large Imperial jumped from the horizon, seemingly making her way to them in a single bound. Watching the gargantuan dragon bow her head in respect to her master was nothing sort of awe inspiring for the scholar. "Young Garomilla, was it?" the dancer asked. "Meet my Apprentice, Melody." "Master Jupiter," the apprentice acknowledged. "I think you'll find that after thousands of years, one's ancestors would eventually think to imbue dances with magic, yes?" Jupiter said with a playful smile. "Those imposters think they can outwit with words and illusions, but they will always betray their true nature when it comes to copying another's grace. I know my apprentice well. Should a single step be misplaced, I will know." "And you, master. No imposter could dream compare to your dances." Melody lifted her head and stretched out her wings. "Come. Time is short if we wish to recover the hatchlings. May our ancestors smile upon our journey for their lost songs." Rayna is the Scholar. She always strives to learn, even when it brings her to danger. Rayna's first ally is Tsara, who she can trust to not tell anyone. They've been allies before, and Tsara will take any chance to get away from the throne. Kyele isn't too good at fighting, but he likely provided the use of his robot, Biar. She's very resentful, but Kyele is coming along to prevent any attacks. As they start, they realize none of them have a skill for tracking. Some time is lost as Kyele adds scent modules to Biar, so she can follow any paths. Since Biar is busy tracking, Tsara is the main defender, with Rayna and Kyele knocking down a few stray Mimics. When they find Thana, Biar springs to action, with Tsara acting as a flanker. Kyele runs off with one hatchling, and Rayna with another. By the time Thana is able to notice, the two are already long gone. Cedar is a pretty good tracker, and with some use of his extensive contacts would be able to tract down Thana. This is not a power team, but more subterfudge. Proff would be focused on the kids but with some pretty nasty ideas, Cedar would act as general protector, and Grumble is a schemer. Grumble defects and takes one of the children back to Thana. A child each, to grow strong in the traditional ways and in the ways of the impostors. Perhaps sibling ancestry is enough to bring these two teams closer than ever, or perhaps it will lead to the final destruction.